We are very excited to introduce a new company and a new tool and trust us, you will be too. The Company: Multiplaz. Even saying it is fun, but not nearly as fun as using it. Using what? What is it? Glad you asked. 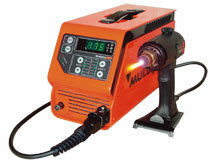 The Multiplaz 3500 is a multi-function plasma cutter-welder. The Multiplaz 3500 (so much fun to say) can weld, solder, braze, harden, and cleanse steel, aluminum, copper, cast iron, bronze and other metals. It can cut any metal, including high-alloy and stainless steel that can not be cut with oxygen cutting. Plus, (there's more, lots more!) the Multiplaz 3500 can cut ceramic tiles, quartz glass, bricks, concrete and other inflammable materials! It's unbelievable folks! The remarkable design of Multiplaz 3500 is based on its simplicity and reliability. It is easy to operate, even for beginners. 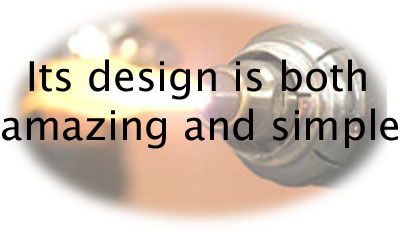 Multiplaz is the only company worldwide that holds a Patent for this unique welding technology by use of a water-alcohol solution instead of shielding gas. It is the first company to utilize ordinary tap water for heating materials by turning the water into plasma 14400°F (8000°C). You just won't believe it!! www.multiplaz.com and read all about it yourself. Once you've had a chance to visit the site we're pretty sure you'll want one for yourself and the good news is, you can order one online while you're there!